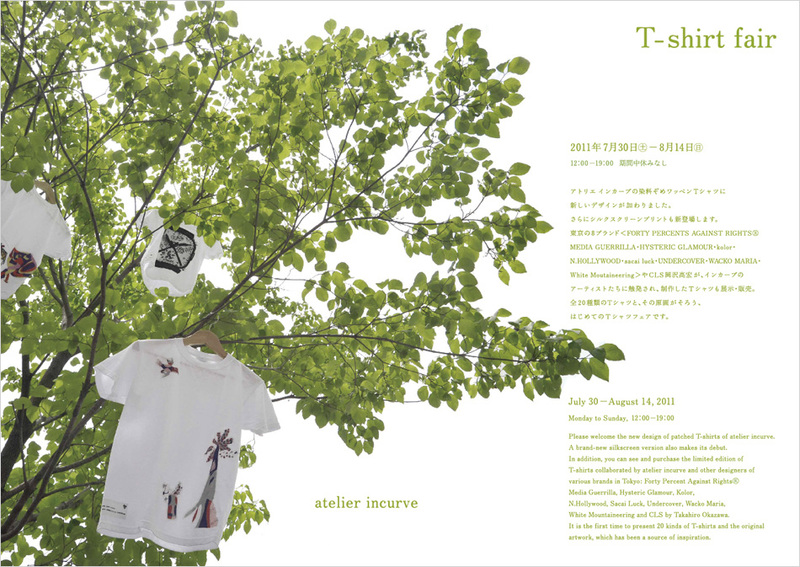 Please welcome the new design of patched T-shirts of atelier incurve. 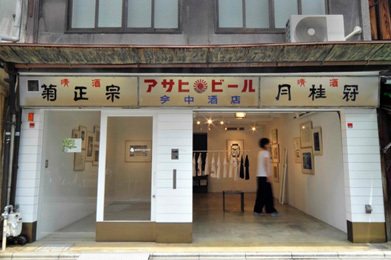 A brand-new silkscreen version also makes its debut. 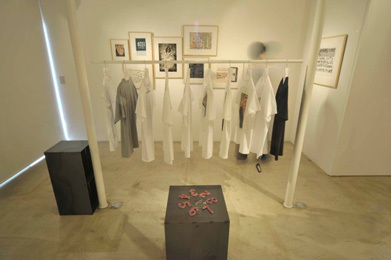 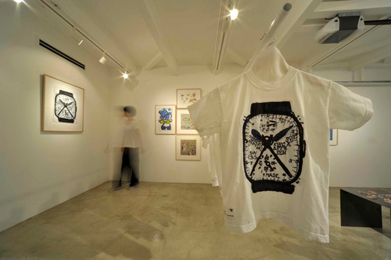 In addition, you can see and purchase the limited edition of T-shirts collaborated by atelier incurve and other designers of various brands in Tokyo: Forty Percent Against RightsｮMedia Guerrilla, Hysteric Glamour, Kolor, N. Hollywood, Sacai Luck, Undercover, Wacko Maria, White Mountaineering and CLS by Takahiro Okazawa. 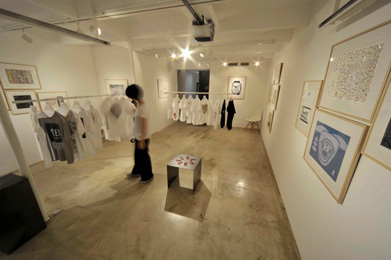 The exhibition presents 20 kinds of T-shirts and the original artwork, which has been a source of inspiration.